What’s been going on the past 18 months? The past 18 months, I do have to say, have been the most life-changing 18 months of my life. That seems a bit dramatic, but it’s true! 12/2013: Moved into our very first home! 5/2013: I got a brand new car! 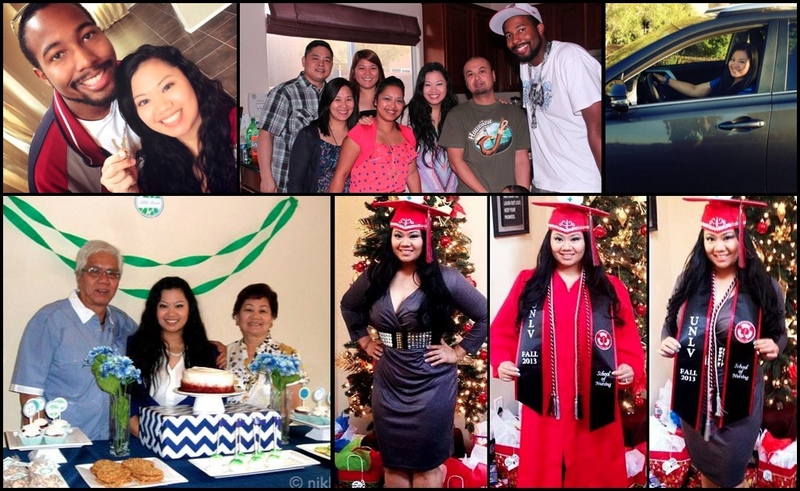 New house, new car, new bachelor’s degree… I think it’s safe to say it has been pretty cray cray, right? I told you; I wasn’t joking! Plus, I can’t even tell you how nuts I was during nursing school trying to survive: passing all the tests, spending weekends studying, all the hours in hospital clinicals, etc. But, the final story is that I survived it all — and I’m better than ever! There are lots of people to thank for my wonderful life, but they know who they are. I’m so blessed! I hope my 2 loyal blog fans come back now and forgive me for my absence seeing as how life was so hectic the past 18 months. I hope to write more and I hope the next 18 months are even better. Happy New Year!